We've been in the business of hard scapes in Colorado since 2003. From small residential patios to commercial walks and retaining walls, their sole focus of operation became hardscape installation. We are members of ICPI, a nationally recognized institution that sets the quality standards for the hardscaping industry in 2002. Because the company is operated and run by the owners, we are committed to completing each job in a timely and precise manner. As owner/operators, we believe in a hands on approach to running our business, which means when questions arise, you will speak directly to one of us. This results in excellent customer satisfaction every time. We will remain on site until the job is completed to our customer’s satisfaction. Our professional standards provide you with quality workmanship that adds value to your home. 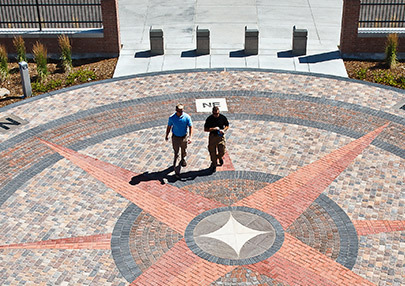 Manufactured concrete pavers have a lifetime warranty against manufacturer defects and failures. Please call us for additional warranty information. I couldn't believe they could put new pavers over my old concrete! Wow, my sidewalks look better than new! The front yard has done a great job of slowing down traffic on our street because now everyone slows down to look at the fantastic driveway and retaining walls.